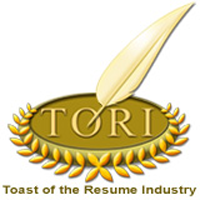 Each year, CDI hosts the resume writing industry’s most prestigious Toast of the Resume Industry™ (TORI) resume writing competition. This is an international competition in which contestants submit their best work in a category. Winners are selected by a blind panel of global industry experts. Nominees are selected followed by first, second, and third place winners in each category. 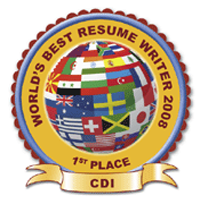 CDI embarked on a unique competition in 2008 to find the World’s Best Resume Writers! The competition was opened to any English-writing individual in the world who wanted to try their hand at professional resume writing. The competition was standardized by providing all candidates the same note files. Two separate competitions were hosted with industry professional judges and the general public. TORI and World’s Best Resumes are networking resumes, which are used for job seekers in networking their way into jobs. Networking is the method in which over 60% of all job opportunities are found. A scannable resume or an ATS resume, meant for automated tracking systems, is needed when a job applicant is applying online or when that type of resume is requested. Professional resume writers will advise their clients to first have a visual resume — one that combines visual impact, spacial segmentation of content for readability, and strategic branding to tease out the job seeker’s unique value. To complement this resume, a scannable version is always needed. Depending on the method of job search this may be an ATS resume which is customized for each position or it might simply be an ASCII resume. Both of these require dumbing down the format by stripping out the elements that make it friendly for a human while ensuring the key words are needed to match the job ad. When opportunities emerge for a job seeker where there is limited certainty on what version to use, it is a good idea to send both. A simple line in the cover letter stating, “For your convenience I have also included an ATS-friendly resume” will suffice. Bottom-line, the TORI and World’s Best resume represents the epitome of excellence for job seekers to stand out from the competition in a personalized, networked job search. An ATS or ASCII resume is a necessary complement to that resume but should never be the ONLY tool a job seeker uses since they dehumanize the document. Until machines are the sole decision maker it will always be necessary to appeal to the human aesthetic. A resume writing award is just one of the criteria you should consider when selecting a resume writer to hire. We recommend you take a few moments to learn more about selecting a company at CDI’s How to Select a Career Service Provider page. The following are listed in no particular order. Victoria McLean – City CV Ltd. Please note that international resumes may reflect a different spelling from what is seen in the US. These will not be typographical errors. See above for any details on the ‘networking’ style of resumes represented in the TORIs. Please keep in mind that our nominees and winners span the globe and may not always reflect a US format, wording, or content selection. Winning resumes and letters may have been formatted in international A4 size, so they may appear differently when you view them. Victoria McLean, City CV Ltd.
Patricia Duckers, Prism Writing Services, LLC/CareerPro Global, Inc.
Lee Kelley, CareerPro Global, Inc.
Joseph L. Tatner, CareerPro Global, Inc.
Fran Sheridan, CareerPro Global, Inc.
Mark Holmes, CareerPro Global, Inc.
Patricia Duckers, CareerPro Global Inc.
Lee Kelley – CareerPro Global, Inc.
Fran Sheridan – CareerPro Global, Inc.
Don Skipper – Career Beginnings, Inc.
Louise Kursmark – Best Impression Career Services, Inc.
Jan Leary, CareerPro Global, Inc.
Vera Morales – Regional HR Director, Sam’s Club, Wal-Mart Stores, Inc.
Marta Hayes-Trice – Sr. Manager, Career Services – American Society of Association Executives (ASAE) Services, Inc.
Laura Drew, CEIC – Carolina Career Coach, Inc.
Beth Stefani – Orison Professional Services, Inc.
Lisa Becker – CareerPro Global, Inc.
* Please keep in mind that our winners span the globe and may not always reflect a US format, wording or content selection. Louise Kursmark, Best Impression Career Services, Inc.